I am not a reading specialist. But, I did enjoy a workshop called Connect which was given by reading specialists. The workshop taught classroom teachers how to use reading recovery techniques in the classroom. We were given many wonderful ideas. Here is a link that gives an overview of Reading Recovery that is very informative. One of my favorite tips that I have used quite often is the “cut up story” technique. Read about it in the link above. My reading specialists also suggested using “boo-boo stickers”. These are white circle stickers that the students use when they make a mistake. Instead of erasing the word, they cover it up with a “boo-boo sticker”. 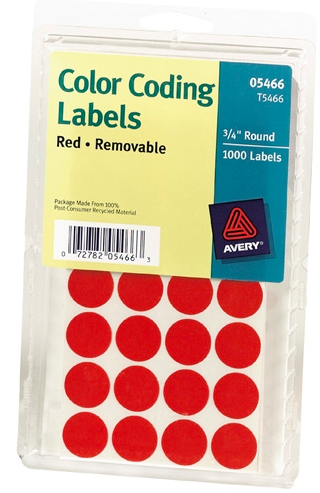 I couldn’t find a picture of white stickers, but here is a picture of red ones. 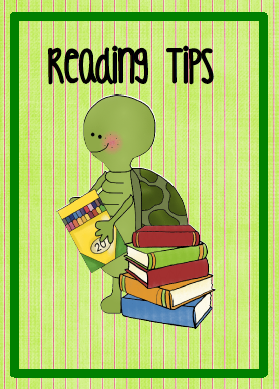 I included this activity in my Reading Tips and Tidbits packet. The activity is called sentence puzzles. You can use it in a small group setting or as a literacy center. I also like how students are taught to hear sounds in words using boxes. You can read about that in the link above in the “Hearing and Recording Sounds in Words” section. I loved this activity so much I included it in my Word Work for Primary Students packet. I call it “sound boxes”. There is also an extension of the activity that can be set up as a literacy center. puzzle. This might prevent them from using the words to put in back in order. I am also certified to teach Reading Recovery & love to incorporate those strategies into my classroom. I had never thought of using the different scissors! Cute idea! Thank you Katy for bringing this to my attention. I should have provided more explanation about how I use sentence puzzles. Yes, with Reading Recovery, you leave spaces between the words. I think my R.R. teacher had my students leave 2 finger spaces. The sentence puzzles that I made are used as a literacy center. The pieces fitting together as a puzzle is how the students check their answers. If the pieces fit together, then they move them apart and read the sentence. The link to reading recovery does not work do you know another one that will? You can also get boo-boo tape on a roll, like scotch tape. We order ours on line.